The Bend Motorsport Park is weighing up adding additional grandstands for the inaugural Bend SuperSprint in August following strong early ticket sales. 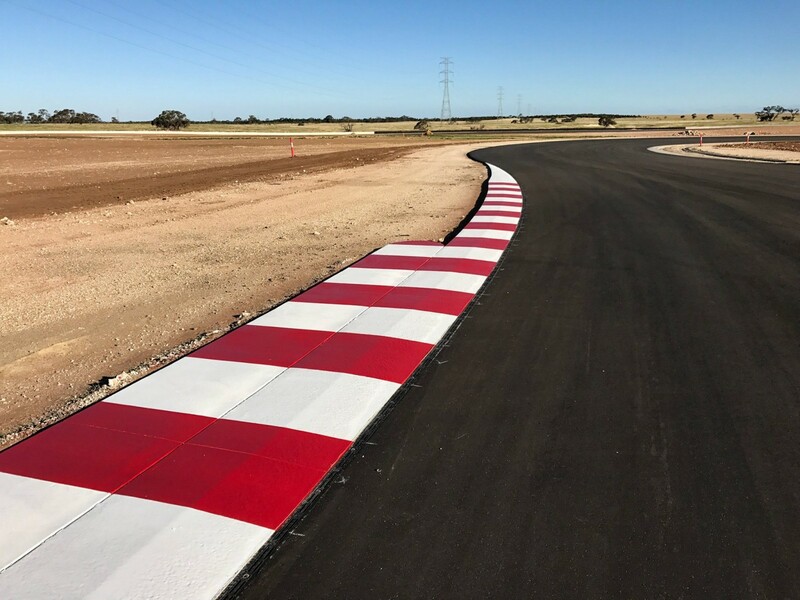 Work continues on the South Australia venue ahead of its debut this year, when it will become Australia’s first new permanent circuit since Queensland Raceway opened in 1999. The state will host two rounds of the ATCC/Supercars Championship in the same year for the first time since 1977, adding to March’s annual Adelaide 500. Temporary grandstands will be built at the Bend for the Supercars event, with punters already snapping up initial tickets following their recent release. Initial forecasts suggest around 50,000 people will visit the circuit across the three-day Supercars event, which has attracted backing from the South Australian Government. Bend Motorsport Operations Manager Paul Trengove says that the interest in tickets and accommodation in the area has been strong. "We don’t quite know how it will turn out just yet, but we recently put the ticket ballot out just through our channels and it’s been very positive," Trengove told Supercars.com. "A lot of the grandstands are starting to fill up already. The general admission side of things only just went on sale so we are looking forward to seeing the response. "At the very minimum we’ll put 2,000 grandstand seats up, but we have the opportunity to bump in more if the demand warrants it. "The accommodation requests are what’s really showing how big it’s going to be. The accommodation is being snapped up pretty quickly. "We’re thinking it’ll be quite a big crowd for the first event." Trengove downplayed the challenges of accommodating the expected influx of fans, despite the tiny nature of Tailem Bend. With a population of less than 1,500, Tailem Bend is said to have around 200 commercially-available beds outside the race track, which will feature its own 100-room hotel. "When you look at what’s around the region, I don’t think it will be a problem," he said. "If you go a bit further out, 20 minutes away is Murray Bridge and they have a fair bit more accommodation there and then you have the winery region about half-an-hour away. "What we’re finding, too, is it’s a similar situation to circuits like Phillip Island. "A lot of residential places are being let out or built at the moment that will be put up for accommodation on your Airbnb-styled websites allowing spectators to stay close to the venue. "At the end of the day the circuit itself is only an hour out of Adelaide, so accommodation spreads all the way back to the city. "We’re also offering a full camping and caravan park. A lot of the marketing we’ll be doing is around staying overnight trackside. "We’ll have some great activities and events planned around that. "Having campsites takes the pressure off people having to go all the way back to town and will create a great atmosphere for the weekend."